Free event, amazing location, great games and activities – it must be this year’s Big Autumn Adventure on Wednesday 28 October from 10am-4pm at Webbers Post, near Wheddon Cross in Exmoor National Park. National Park Ranger Adam Vasey says: ““It’s the last Big Adventure of the year and, with the help of The National Trust, it’s going to be a good one. Get your wellies on, have a go at orienteering, help us make a giant den or keep warm by the campfire and toast some marshmallows. 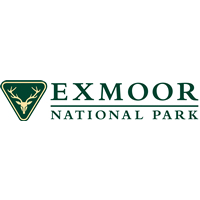 This is the sixth Big Adventure event this year and hundreds of people have enjoyed the free family days out courtesy of Exmoor National Park Authority, The National Trust, Heart of Exmoor and a variety of other organisations and volunteers. There is car parking and toilet facilities on site – for more information please contact the National Park Centre at Dulverton, phone 01398 323841.